Meet and greet on arrival by Asian Adventures representative and transfer to Colombo. Lake Drive and a visit to the Royal Botanical Gardens at Peradeniya. Breakfast and departure for Hambantota. An afternoon visit to Bundala Wildlife Park. Dinner and overnight in Hambantota. transfer to Beach Extension Hotel of your choice. of Colombo is available this evening. After breakfast head for the hill country and en route visit the Pinnawela Elephant Orphanage which was set up to save abandoned or orphaned wild elephants. Continue on via Kurunegala and Dambulla to the spectacular rock fortress of Sigiriya, built by King Kasyapa in 473AD for his safety fearing an invasion. The fortress (a kind of 5th century penthouse) sits on top of a 200 metre high rock with beautiful water gardens around its base. 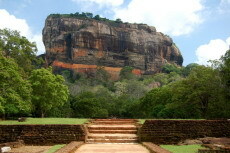 A climb up will reveal the famous rock paintings of the Sigiriya Damsels (or Frescoes). Your choice of accommodation for the next 02 nights includes , Sigiriya Village or the Amaya Lake in nearby Dambulla. 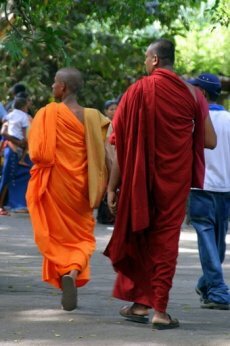 After breakfast enjoy a morning tour of Polonnaruwa, Sri Lanka`s ancient capital. The rest of the day is yours at leisure. Head to Kandy today, the capital of the hill country set on the banks of a beautiful lake. On the way, visit the spice gardens and batik factory at Matale and the historic cave temple at Dambulla, which contains 150 Buddha images in five separate caves. Your choice of accommodation in Kandy includes Hotel Suisse or Amaya Hill. In the evening visit the Temple of the Tooth to witness a special Pooja ceremony and afterwards, enjoy a pageant of traditional Kandyan dancing. Spend the morning visiting Kandy`s local bazaars, markets and the arts and crafts centre. Continue on to Nuwara Eliya stopping to visit some tea plantations on the way. At 1889 meters above sea level, Nuwara Eliya is known for its invigorating mountain climate and scenery and it was always the favourite hill station of the British. Its colonial character and charm is still evident today in its English style country houses and the 18-hole golf course, said to be one of the finest in Asia. Overnight at the The Grand, a former residence of a British Governor. Enjoy a morning tour of Nuwara Eliya and then continue on to the coastal town of Hambantota for your overnight stay at either The Peacock Beach of The Oasis Hotel. You will be met on arrival at Colombo airport from where you will begin your drive to Giritale in the Cultural Triangle, stopping at the Dambulla cave temple on the way. Spend 2 nights in Giritale or Dambulla. After breakfast, head to Sigirya to climb the rock fortress and then continue on to Kandy, stopping at the spice gardens and batik factory in Matale en-route. 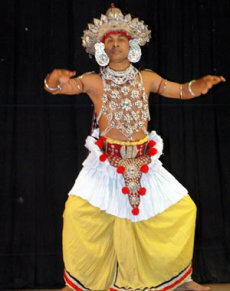 In the evening, enjoy a cultural show of Kandyan dancing. Dinner & Overnight in Kandy. Visit the Temple of the Tooth and other places of interest in Kandy before heading back to Colombo via the Pinnawela Elephant Orphanage. Alternatively, we can arrange for you to be transferred to one of the beach resorts. Meet and greet on arrival at the Colombo International airport and transfer to Dambulla - check in at the Culture Club - late afternoon climb the Sigiriya Rock Fortress built by King Kasyapa (5th Century A.D.) - a world heritage site and one of the wonders of ancient architecture containing the world famous frescoes " Heavenly Maidens" painted on the rock - return to Amaya Lake for dinner and overnight stay. Following breakfast depart for Anuradhapura - the First Capital of Sri Lanka. Here you will see the remains of the Brazen Palace, the Sri Maha Bodhi (a Bo tree over 2000 years old) and the ruins of the Ruwanweliseeya, Jethavanaramaya and Abhayagiri Dagobas - after sightseeing you will continue to Polonnaruwa the medieval capital of Sri Lanka in the 11th and 12th centuries - here a visit to the ruins of the Royal Palace, Lankatilleke Vihare, Thuparama Image House, Gal Vihare and the Lotus Ponds before returning to the Amaya Lake for dinner and overnight stay. (A possibility of viewing wild elephants grazing in the evening on the wayside). Following breakfast visit the Rangiri (the Golden Rock) Cave Temple at Dambulla before continuing to Kandy. En route to Kandy you will visit the exotic Spice Garden at Matale. Check in at the Amaya Hill. By late afternoon depart for a sightseeing tour of Kandy including the Royal Botanical Gardens at Peradeniya, Lake Drive, a visit to the Bazaar and Arts & Crafts centre. A late evening visit to the Temple of the Tooth is also planned followed by a performance by the Kandyan Cultural Dance group - return to Hotel for dinner and overnight stay. Following breakfast proceed to Nuwara Eliya, the Hill Capital, where en route you will visit a Tea Plantation and Tea Factory - leave on a sightseeing tour of Nuwara Eliya - drive through Little England - return to Amaya Hill for dinner and overnight stay. Following breakfast depart to Unawatuna in the South Coast en route visit the Elephant Orphanage at Pinnawela - check in at Unawatuna Beach Resort for dinner and overnight stay. preserved 17th century Fortress - at leisure on the Beach - dinner and overnight stay at the Hotel. Breakfast at hotel before transferring to Colombo International airport for final departure. These tours represent our ideas and recommendations and is a glimpse of the astonishing ways you can discover Sri Lanka. If you have any thoughts, stirrings or feedback, do get in touch. Together we can personalise your trip and make it a memorable experience.